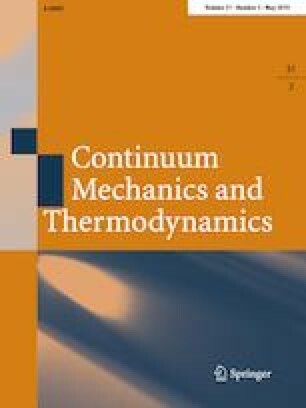 The present paper deals with the system of equations comprising a yield criterion together with the stress equilibrium equations under plane strain and plane stress conditions. This system of equations can be studied independently of any flow rule, and its solution supplies the distribution of stress. It is shown that this problem of plasticity theory is reduced to a purely geometric problem. The stress equilibrium equations are written relative to a coordinate system in which the coordinate curves coincide with the trajectories of the principal stress directions. The general solution of the system is constructed giving a relation connecting the two scale factors for the coordinate curves. This relation is used for developing a method for finding the mapping between the principal lines and Cartesian coordinates with the use of a solution of a hyperbolic system of equations. In particular, the mapping between the principal lines and Cartesian coordinates is given in parametric form with the characteristic coordinates as parameters. Finally, a boundary value problem for the region adjacent to an external boundary which coincides with a principal stress trajectory is formulated and its general solution is given. This research was made possible by Grants 16-49-02026 from RSCF (Russia) and INT/RUS/RSF/P-17 from DST (India).